Skidmore College faculty, staff and representatives from area community service agencies gather during the Skidmore Cares luncheon at the Murray-Aikins Dining Hall in November. For the 13th consecutive year, members of the Skidmore College community are joining together through the Skidmore Cares community service program. Through the program, the Skidmore community has donated more than $90,000 in monetary gifts and more than 28,000 items to nonprofit agencies throughout Saratoga County. The program was founded in 2006 by Skidmore President Philip A. Glotzbach and his wife, Marie Glotzbach, in an effort to bring staff and families together in a meaningful way during the holiday season. They reached out to the Skidmore community to raise donations of food, provisions and school supplies to assist those in need in Saratoga County. 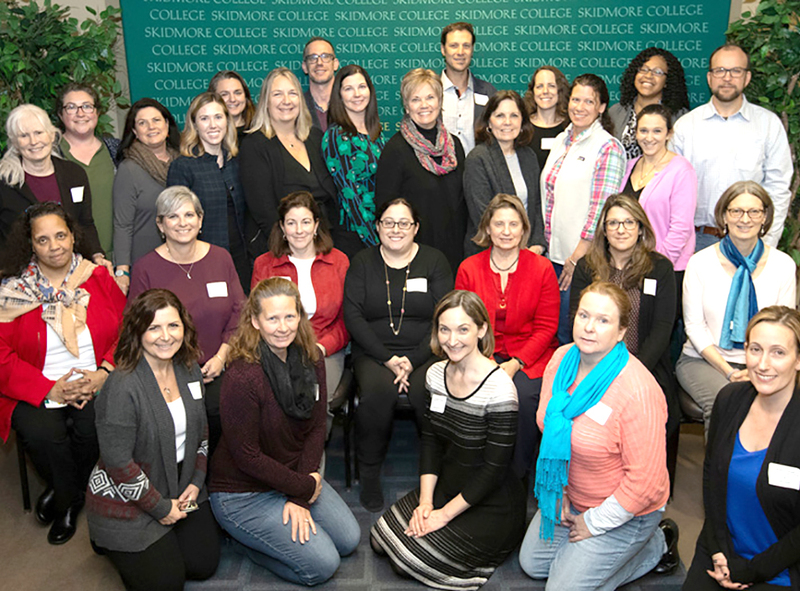 Nearly 150 Skidmore faculty and staff members, along with representatives from 10 Saratoga-based community service agencies, attended an energetic kickoff luncheon on campus. This year, contributions will benefit Shelters of Saratoga, Franklin Community Center, Mary’s Haven, Wellspring, Corinth Central School District, The Latino Advocacy Program, Salvation Army, Saratoga Center for the Family, Saratoga County Economic Opportunity Council and Saratoga Springs City School District PATHS. The Malta YMCA was constructed through a joint partnership between the Saratoga Regional YMCA and Saratoga Hospital. The 55,000-square-foot building is located off of Northway Exit 12. The Malta YMCA opened the doors to its brand new $5.2 million facility in June. The two-story, 55,000-square-foot building is located off of Northway Exit 12. 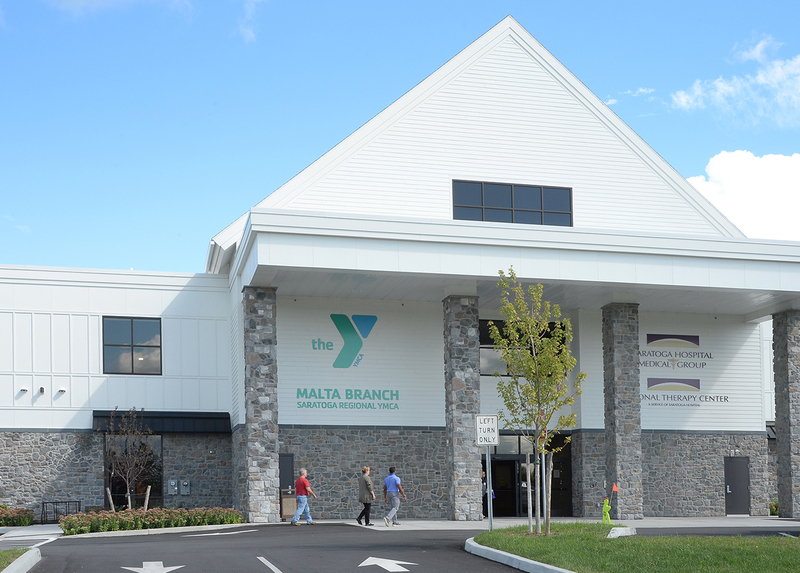 Before relocating to the new facility, the YMCA’s fitness and childcare centers were located in two different leased spaces in Malta Commons. Both centers are now housed under one roof in the new building. Construction of the facility received support from major donors including Stewarts, the Dake family, Adirondack Trust Co., the DeCrescente family, and Ballston Spa National Bank. Denise L. Smith has been researching firefighter health for some 20 years. Firefighters bravely run into fires when everyone else is running out. Yet the biggest danger they face isn’t fire or smoke the group says. It’s suffering from a sudden cardiac event while on duty. Denise L. Smith, director of the First Responder Health and Safety Laboratory at Skidmore College, has been researching firefighter heart health for more than 20 years along with colleagues. Now a $1.3 million FEMA Assistance to Firefighters Grant (AFG) will enable Smith and her team to put their findings into practice and help save firefighters’ lives. 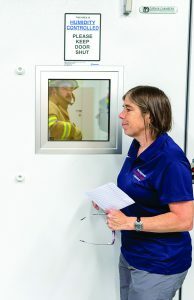 The grant will fund a two-year project in which Smith’s team will work with the National Institute of Occupational Safety and Health, leading cardiologists, fire chiefs and other experts to implement a pilot program to screen more than 2,000 firefighters for cardiac risks, then develop and distribute evidence-based enhanced screening guidelines and training/education materials to fire departments nationwide. In a large AFG-funded study published in the Journal of the American Heart Association on Sept. 5, Smith and colleagues found that the vast majority of firefighters who died from cardiac events had evidence of both enlarged heart and coronary heart disease revealed during autopsy. The Saratoga County Chamber of Commerce, Empire State College, and the Saratoga County Capital Resources Corp. (SCCRC) have partnered to create the Saratoga County Institute of Management (SCIM), with the aim of supplying solutions to the challenges of retaining and fostering good employees. Regardless of industry, there are some truths about being in business, officials said. Staff the most valuable resource; employers look for opportunities for them to develop and grow businesses promote or look to promote from within; and businesses ay not have the internal capacity to teach employees the skills they may need to grow into management or other leadership roles. By selecting employees to participate in this program, which starts in January, businesses will be providing them with the tools and training they need to continue to grow and excel, the organizations said. 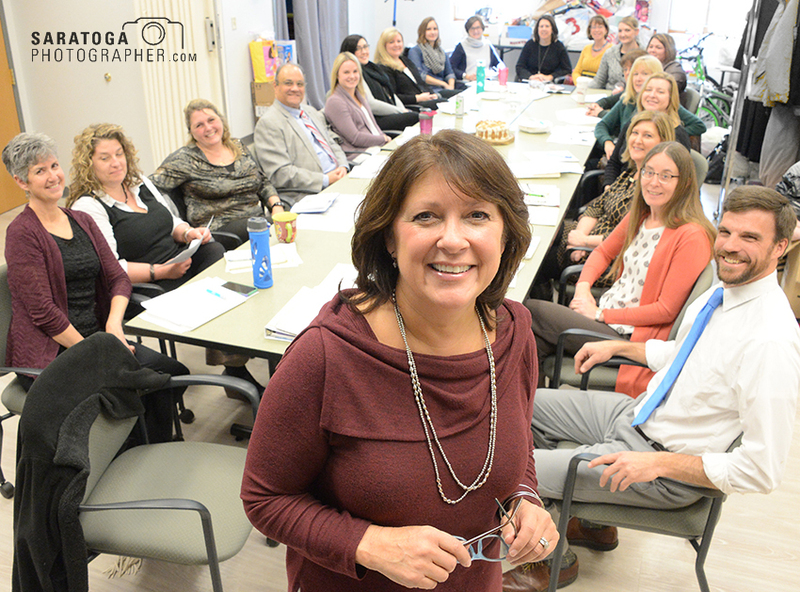 Sue Catroppa, executive director of CAPTAIN Youth and Family Services, poses in front of the group’s board of directors. The group supports youth, adults and families in need. It has been a little over 40 years since a group of concerned adults and teens sat around a kitchen table in Clifton Park, putting together the pieces that would eventually form a human services program that has since transformed the lives of teens all over Saratoga County. CAPTAIN Youth and Family Services supports youth, adults and families, giving them to tools be become self-sufficient and successful in life. Sue Catroppa, executive director, said over the past 40 years they have grown into a $2.8 million organization with 65 full- and part-time employees, and between 300 and 400 volunteers. As a result of their continuing growth, CAPTAIN is in the final stages of a merger with Community Human Services (CHA), a 41-year-old agency located in Glenville. Catroppa said CHS provides services that complement CAPTAIN’s. “It is truly a good merger, and a great match,” said Catroppa. Catroppa said CHS provides services to senior citizens and provides social services to the Burnt Hills school district, allowing CAPTAIN to expand its programs geographically. The merger was approved by the state and is on track to be completed by the end of the year. 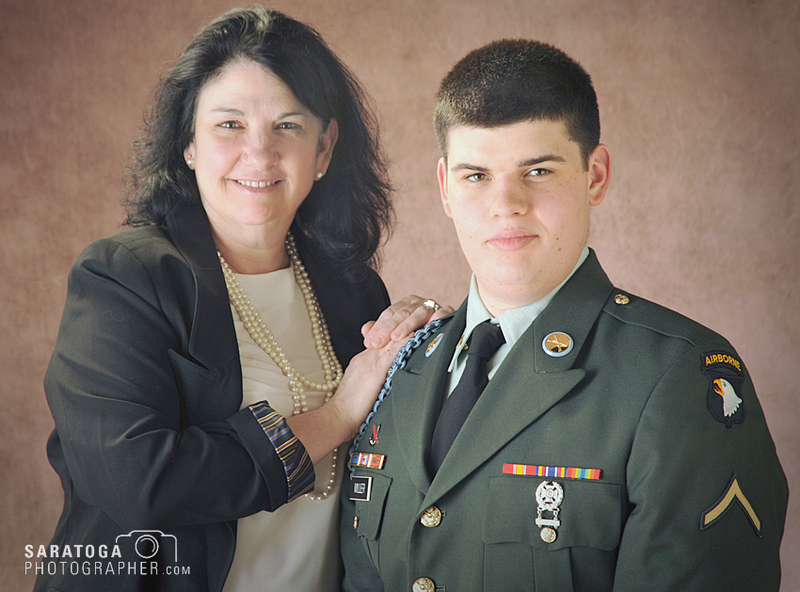 Leslie Miller, president of Taylor’s Heroes, a fitness and nutrition program for people ages 8 to 18, founded the group in honor of her son, right, a U.S. Army Pfc. killed in Afghanistan. Taylor’s Heroes, a fitness and nutrition program for young people ages 8 to 18, has openings for new members when its next session begins Jan. 11. The program, which includes exercise classes, sports participation, and nutrition advice over 14 weeks, is free. The current group will have a graduate celebration—a healthy dinner at the Hampton Inn in Saratoga—on Dec. 14. The program is named in honor of David Taylor Miller, a U.S. Army Pfc. and Saratoga Hills High School graduate who was killed in Afghanistan in 2010, at the age of 19. Miller, formerly an obese child, whipped himself into shape with a program of diet and exercise before joining the Army. The organization was founded by his mother and aunt and is run entirely by volunteers. The two main aspects of the program are group exercise and instruction on nutrition, including tips on shopping for and preparing healthy foods. A nutrition expert is available to work with individual parents, helping them plan menus and prepare alternative snacks. The children also do some cooking. Wellspring, the Saratoga County-based domestic violence and sexual assault services resource, won a $15,000 grant from the Allstate Foundation after placing fifth among almost 200 domestic violence organizations across the country in the Purple Purse Challenge. This marks the second prize won by the organization during the month-long challenge. Wellspring also finished the first week of the challenge in the top five, winning an additional $10,000 challenge gift. Wellspring was one of 20 organizations nationally to earn a grant competing against other domestic violence nonprofits with an operating budget of less than $1.75 million. In total, Wellspring raised more than $51,000. Officials said they will use the money to support a comprehensive approach to helping victims of domestic violence, providing services such as shelter, a 24-hour hotline, counseling, and legal advocacy. The funds will also help expand the programs that focus on prevention, issue awareness and social change, such as partnerships with local schools and law enforcement. 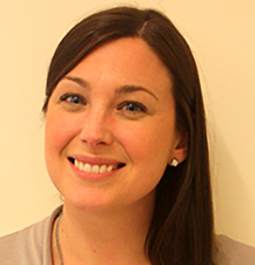 Lori Nadeau is a recruiter/homefinder for Northern Rivers Family of Services. As a foster parent recruiter/homefinder for Northern Rivers Family of Services, I travel throughout Warren, Washington, Saratoga and Essex Counties talking to people every day about opening their homes to children in need. You may have seen me or a member of my team at a county fair or community event. We’re the ones at the Give Hope a Home table. And the number one thing I’ve learned from meeting so many friends and neighbors is that not everyone understands exactly what foster care is and how they can help. There are times when the only safe option for a child is removal from their home. Reasons can vary from abuse and neglect, lack of proper housing or other challenges. Regardless of the reasons a child may enter foster care, the system has two goals: Keep the child in a warm, safe, loving place in their own community where he or she can heal and grow; and to work towards reunification and achieve permanency in the families’ life. Northern Rivers serves 14,000 children and families in 36 counties as the parent organization to Parsons Child & Family Center and Northeast Parent & Child Society, and my team is headquartered on Quaker Road in Queensbury. 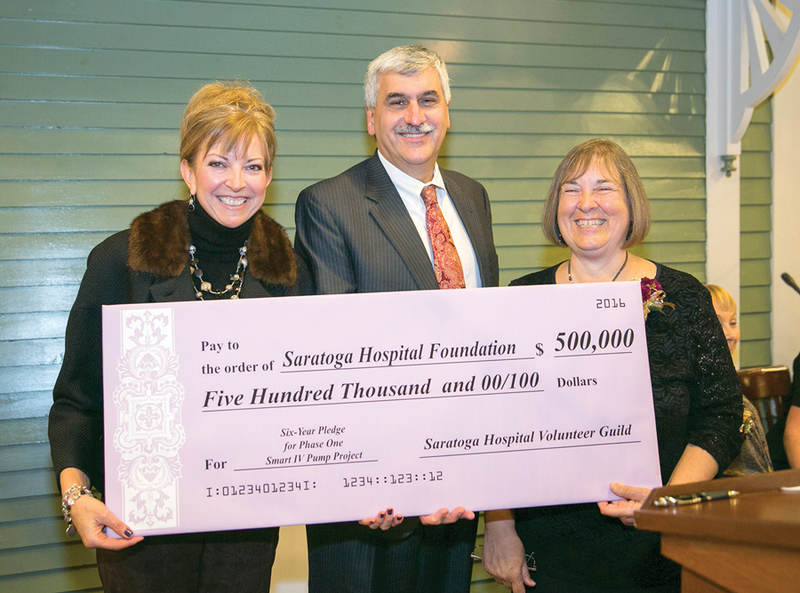 Amy Raimo, left, hospital VP for community engagement; Angelo Calbone, Saratoga Hospital president, and Barbara King, Saratoga Hospital Volunteer Guild, display a check for $500,000. Saratoga Hospital Volunteer Guild has pledged $500,000—the auxiliary organization’s largest gift ever—to help bring “smart” intravenous (IV) pumps to all Saratoga Hospital facilities. The gift also is the most significant to date for the hospital’s newest fundraising initiative, which seeks more than $1 million to buy and set up 270 smart pumps and related software, officials said. “That this project will touch every patient who comes through the doors of a Saratoga Hospital site every day is praiseworthy and extraordinary,” said Barbara King, guild president. IV pumps have long been used to deliver lifesaving fluids, from blood products to advanced antibiotics, insulin, and chemotherapy. New “smart” pumps include technology designed to ensure that patients receive the right medication at the right dose and the right time. The result is enhanced safety and better outcomes.